Deadline for tours booking and payment is June 10, 2015. In case payment isn't received till June 10, the booking will be cancelled. Cancellation Terms: For cancellations received till June 10, 2015 the sum of payment will be refunded completely. If cancellation is made after June 10, 2015 the penalty is 100% payment. You are welcome to book and pay for the tours in advance through On-line reservation system of the Symposium. Izmailovsky Kremlin is situated in just 5 min. walking from the hotels "Izmailovo Gamma" (Symposium Venue) and "Izmailovo Delta", you can see it from the window of your hotel room. Nowadays the complex "Izmailovo Kremlin" is a center of Russian culture and accommodates museums (Bread Museum, the Museum of Russian toys, Museum of the History of vodka Museum of the History of the Russian Navy), wooden Church of St. Nicolas, craft shops and high school, Wedding Palace, Art Gallery, rooms for celebrations, decorated with hand-painted, shops with Russian Souvenirs, Antique market, restaurants. We offer the guide program "Russian Compound". 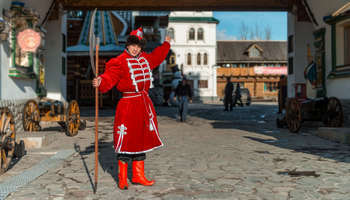 Guests are greeted by a guide in Russian national clothes who escorts them to the central square and around the complex. There will be a brief insight into the Russian history and special aspects of the Russian old architecture. 18:00 - meeting with the manager at the hotel lobby. 18:10–19:10 - Sightseeing tour both in English and Russian, then free time. Price: 18 USD per person. The tour will take place only in case of not less than 10 participants. 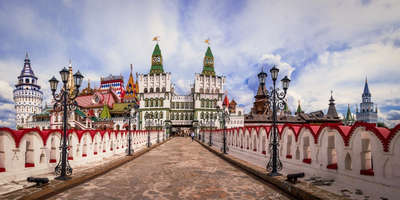 Inextricably linked to all the most important historical and political events in Russia since the 13th century, the Kremlin (built between the 14th and 17th centuries) was the residence of the Great Princes and also a religious centre. Since 1991, the Kremlin has been the official residence of the President of the Russian Federation. 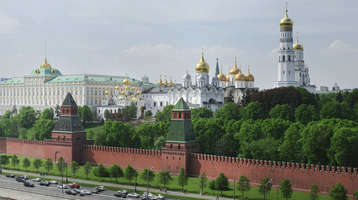 The ensemble of the Moscow Kremlin has been included in the UNESCO World Heritage List. Its monumental walls and towers, golden-domed cathedrals and ancient palaces stand high on the Borovitskiy Hill above the Moskva River forming a magnificent architectural ensemble. 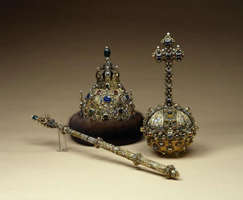 The Armoury Chamber is a world-wide known treasure-house hosting ancient Russian state regalia, ceremonial vestments, church utensils, gold and silver relics. Guided walking tour around the city and Kremlin. Visit to the territory of the Kremlin, the Armoury Chamber, cathedral. 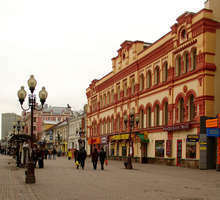 Guided tour around the old Arbat street - pedestrian street about one kilometer long in the historical centre of Moscow. 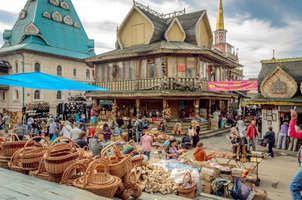 Because of the many historic buildings, and the numerous artists who have lived and worked in the street, the Arbat is also an important tourist attraction. 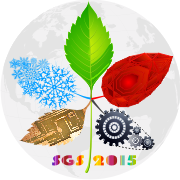 Transport (comfortable bus): the tour will start from the Symposium venue and will finish at the same place. 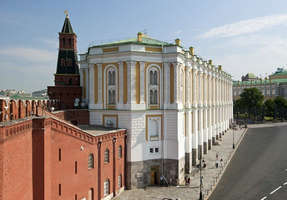 Moscow Kremlin Museums official site. June 24. 17:00–18:30. Tour at the Museum of the Izmailovsky Kremlin and the Creative workshop "Baking cakes (gingerbread) and painting"
Imagine the aroma of freshly baked gingerbread, sweet smell of cinnamon and vanilla! We invite you at the creative workshop for baking cakes and painting. Each cake is unique handmade! Master class includes the whole process of making gingerbread. You get a piece of dough, roll it out for yourself that, giving it the desired shape. Then your pastry "masterpieces" are sent to the oven. From the stove ready gingerbread get to your painting glaze, which is preparing a master confectioner of protein and powdered sugar. That's all, you will have a warm fragrant gingerbread that just wanted to eat! Duration of the master class – 1 hour 30 minutes. The workshop included informative tour at the Museum of Bread. 15:00 - meeting with the manager at the hotel lobby. 15:10–16:30 - Tour at the Museum of Bread both in English and Russian, then the Creative workshop. The tour will take place only in case of not less than 7 participants. 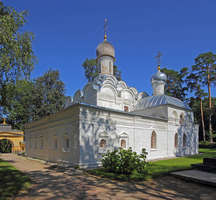 Arkhangelskoye is a historical estate located around 20 kilometers to the west from Moscow. It belonged to the Russin noble families, nowadays it is a state museum. 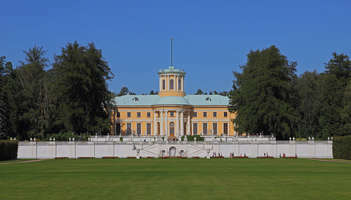 The estate is built in a neoclassical style, with the prominent palace facing the Moscow river and a regular terraced park decorated with many antique statues. It is famous for its collection of fine art including paintings, sculptures, furnitures, ceramics and interior. Guided walking tour during the trip to "Arkhangelskoye" and around the estate. The tour will take place only in case of not less than 10 participants. The number of tickets is limited! The Banquet will be held in the Boyarsky Hall of the Palace Russian meal, the complex "Izmailovo Kremlin", center of Russian culture. Address: 73G, Izmailovskoe shosse, just 5 min walking from the hotels "Izmailovo Gamma" (Symposium Venue) and "Izmailovo Delta", 10 min. walking from the metro station "Partizanskaya". 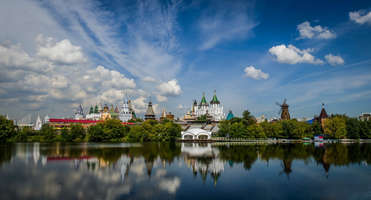 Nowadays the complex accommodates museums (Bread Museum, the Museum of Russian toys, Museum of the History of vodka Museum of the History of the Russian Navy), wooden Church of St. Nicolas, craft shops and high school, Wedding Palace, Art Gallery, rooms for celebrations, decorated with hand-painted, shops with Russian Souvenirs, Antique market, restaurants. 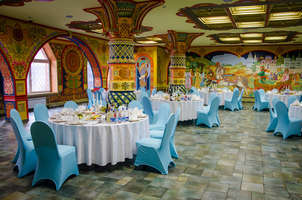 Palace Russian meal is a heart of the Izmailovo Kremlin. It's an architectural fantasy on the theme of creativity Simon Ushakov and wooden palaces in Kolomenskoye and Izmailovo built for Alexei Mikhailovich Romanov. The interior of the Palace is decorated in the style of traditional arts and crafts - Khokhloma and Palekh, combining elements of the king's house, and the peasants' huts. The banquest will take place in the Boyarsky Hall is one of the most unusual and unique of its kind. 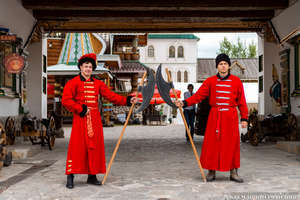 It is made in Russian folk style and richly decorated, making it an unusually beautiful and attractive to visitors. Each element of the interior is made in Russian folk style, making this a truly fabulous hall: hand-painted wall with the epics and historical subjects, high arched columns under the ceiling, decorated with intricate patterns, powerful oak doors. Welcome to the Izmailovo Kremlin - a cozy corner of the pre-Petrine Moscow, where Russian history and fairy tale intertwined with modernity! Price: 90 USD per person.